In these troubled and incredibly challenging times we are being offered heart-based guidance and wisdom grounded in an ancient indigenous tradition. We often find ourselves living in a world that has grown cold as ‘progress’ pulls us away from each other in many ways. For thousands of generations, we had an innate sense of being a part of the land and community where we belonged. There was no sense of separation or isolation. Today so many of us long in our hearts and souls, sometimes not even sure what it is we have lost. We feel the loss of our ancestral life ways of belonging. The international Sacred Fire Community is a growing group of several thousand people across the world who realise that our priorities in life are shifting. Initiated and trained to hold aligned ritual space for their communities, Sacred Fire Firekeepers host regular community fires in Ireland, England, Wales, the United States, Canada, Mexico, Colombia, and Australia. By gathering in community and re-establishing our relationship with each other and the living world, we end the isolation of modern culture and build lives of meaning and purpose. And we come together in wider Sacred Fire gatherings where we are privileged to have the voice of the elemental force of Fire speak to us through the insurmountable sacrifice of a ‘God Speaking man’. Fire is present as a divine energy in all original traditions. In many traditions, it is a living presence, which provides guidance and help. The elemental deity of Fire is known by many names in various cultures for example, Brigid in Ireland, Pele in Hawaii, Sekhme in Egypt. In the unbroken tradition of the Huichol people of the remote highlands of Mexico, they call the God of Fire Tatewarí, or Grandfather Fire. HEARING THE VOICE OF SACRED FIRE. At this time there are six people around the world who have been selected by Spirit to act as conduits, allowing the great elemental energy of Fire to speak through them so that this elemental force can help the peoples of our world reconnect to their purpose and open their Hearts. There is one each in India, Tibet, and Indonesia, two in the Amazon and one in North America. The one in America, living in Mexico is Don David Wiley, a tsaurirrikame, or elder shaman, in the Huichol tradition and a granicero, or weather shaman, in the Nahua Indian tradition of the highlands of central Mexico. He lends his body so that the elemental God of Fire can appear and offer guidance. 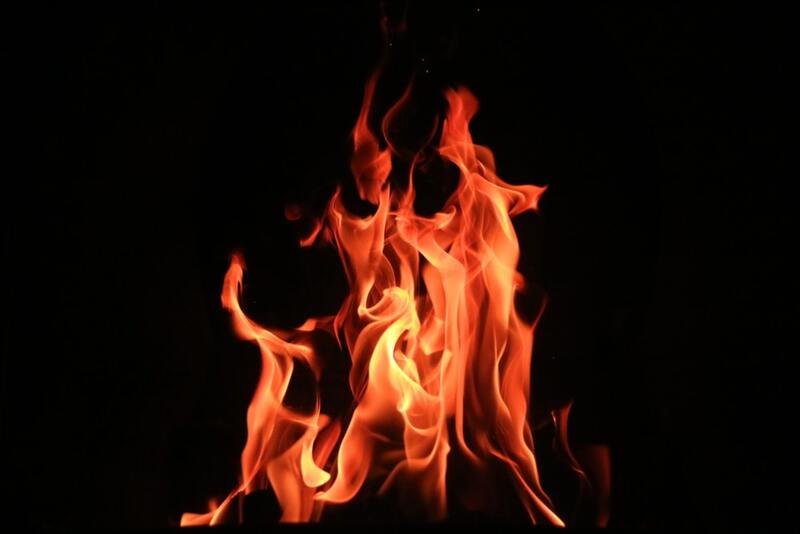 Fire is a component in our being, a presence that is already in all of us. Grandfather Fire, or simply ‘Grandfather’ as He is affectionately known, says that to use Don David as a conduit, He only has to slightly amplify His presence, the Fire element, in Don David. When this occurs, Don David’s body temperature increases significantly and he enters a coma-like state. This, Grandfather says, puts Don David’s mind to the side. Therefore He is able to use Don David’s body to speak to us. Although the form looks like an individual speaking, the speaking is not that of an individual, but of a presence in the world. Grandfather Fire’s appearances are usually pre-arranged by Him. A group of people gathers to sit around a fire consecrated in the way of the Huichol tradition. Songs are sung, stories and jokes shared, music, drumming, dancing, anything under the heading of craic all aid in the warming up of the group energy. Then at a certain point Don David experiences what he has described as the feeling when a jet accelerates on the runway. That is the last he remembers while this Heart/Fire element, which is present in all of us, is ‘turned up’. After a couple of minutes, Grandfather begins to talk, inviting questions and providing answers laced with humour and loaded in wisdom. Grandfather appears to us this way, as He has in ages past, because we have come to a point where we are so lost and in need of special help. He moves our lives towards reawakening connection and we can receive authentic guidance to our soul path. Some of what I have gained from the Sacred Fire Community: my spiritual family, laughter, healing, music, dancing, singing, true guidance, the opportunity for programs and rituals grounded in ancestral tradition to open to the gifts and fulfill the tasks of each stage of life with joy, seeing how authentic elders are in their Heart’s calling, the love respect and trust they earn, their tireless devotion to serving community. June 14th to 16th 2019 we wholeheartedly invite you, your family and friends to our second Las Tine an Chroí (Light up your Heart) event.